THCA is the inactive precursor of THC. It occurs in raw marijuana plants and won’t make you high on its own. Nonetheless, it comes with remarkably strong anti-inflammatory properties and an array of other health benefits. A lot has already been said about THC and CBD, the two most abundant cannabinoids in the cannabis plant. But what about their precursors — THCA and CBDA? The A at the end of these compounds stands for acid. The acidic forms of THC and CBD have their own set of therapeutic effects that researchers are just now starting to explore in depth. However, before we flood you with all the facts about the effects and benefits of THCA, let’s give you a quick primer on cannabinoids. Cannabinoids are chemical messengers that attach to the cannabinoid receptors in the cells of our brains (CB-1 receptors) and other areas of the body (CB-2 receptors). Endocannabinoids are produced in our body by the endocannabinoid system — a network of receptors and neurotransmitters that control various biological functions in humans. Cannabis contains phytocannabinoids, which are compounds mimicking the chemical structure of endocannabinoids. Each one has slightly different effects on us. Thus far, scientists have managed to identify and isolate 113 cannabinoids from cannabis. 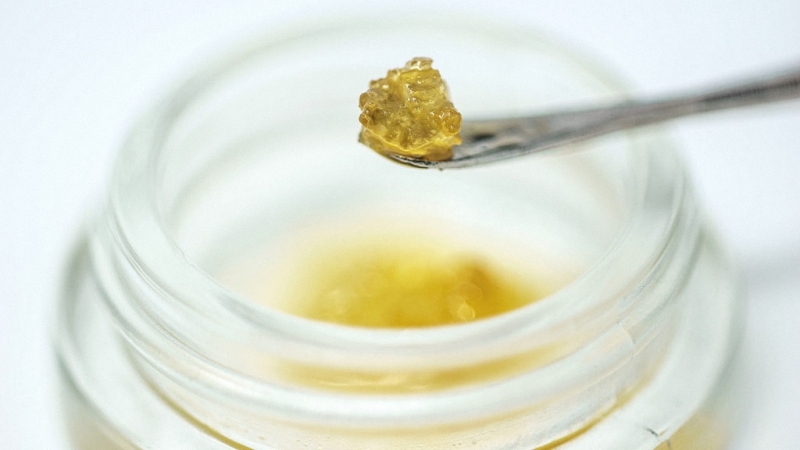 This article, though, concentrates solely on THCA. THCA stands or tetrahydrocannabinolic acid. Although it shares several letters with THC, THCA doesn’t share the psychoactive effects of THC. It does, have some potent therapeutic benefits of its own, however. THCA is a precursor to THC, and it appears in the raw cannabis plant. The only thing stopping THCA from becoming psychoactive is an extra carbon link (a carboxylic acid group) that gives the cannabinoid an acidic form. The conversion process from THCA to THC begins when the plant dries. This is when the carboxylic acid group is removed — converting the molecule into THC. As time goes on, more THCA is converted to THC. Is there a way to speed up this conversion? Yes, you can speed the transformation process (called decarboxylation) by heating the THCA. This causes the carboxylic acid (the A in THCA), to separate from the THC molecule. 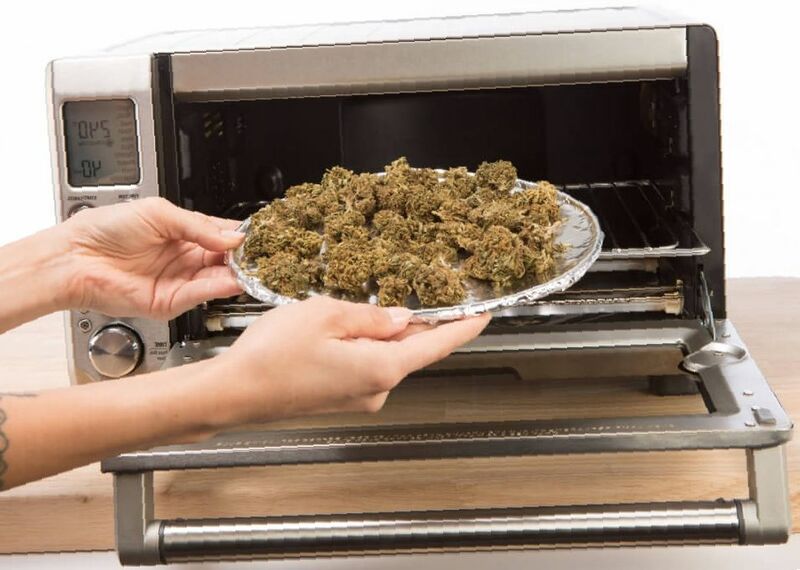 Decarboxylation involves heating the cannabis buds to the point where THCA turns into THC. 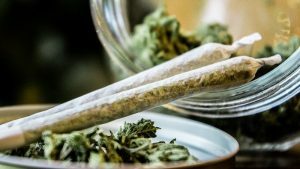 The traditional way of doing this is to simply smoke the plant, but can also be done through vaping, baking, or other methods of heating the plant material. 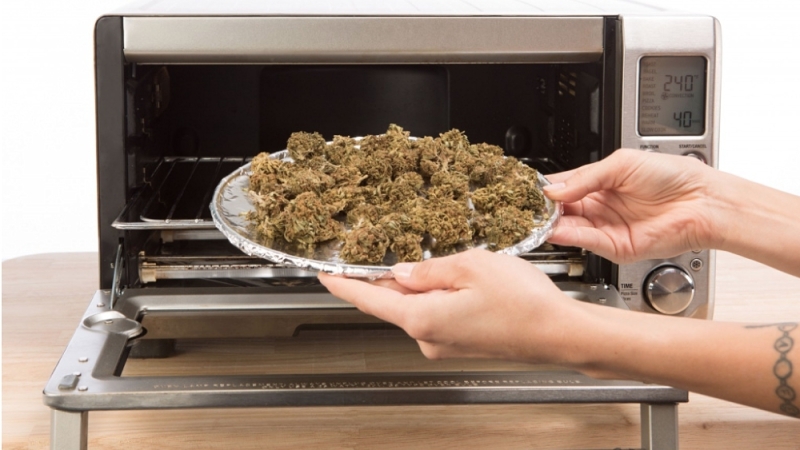 The sweet spot for decarboxylation of THCA is around 220 – 235 degrees F. Anything above 300 degrees F will destroy the THC as well as other cannabinoids and terpenes — rendering it useless. If you ask a random person on the street how cannabis is commonly consumed, most people will mention smoking or vaporizing. Each of these methods calls for heating up the plant, which means you’re not receiving any THCA at all. Instead, you will inhale mostly THC and some CBD. 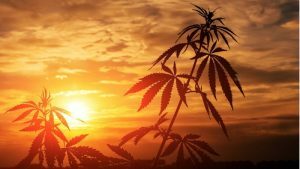 However, many people are unaware that there are benefits to consuming raw cannabis — and by raw we mean unheated. The fresh cannabis plant contains resinous secretions — known as trichomes. These trichomes are rich in cannabinoid acids. THCA is one of the most concentrated of these. This means that fresh marijuana buds contain little to no THC, as the THCA hasn’t been exposed to heat or enough time to convert the THCA into THC. Long story short, we wouldn’t have THC without THCA, which is the main similarity between the two, as THC derives from THCA. Both cannabinoids share similar health benefits, too, but other than that, they’re much different. THCA has no psychoactive traits; it won’t make you high unless you dry and decarb your raw buds. As we said, in its unprocessed form, cannabis doesn’t produce THC or CBD. Instead, it produces cannabinoids in acidic forms, synthesizing THCA and CBDA. So, how does the THCA from raw cannabis work? According to the current research, THCA binds to the TRPM8 receptor, also known as the cold and menthol receptor; in simple terms, it makes mint feel fresh and cold. However, this happens only when low doses of THCA are administered. Higher concentrations of THCA can activate a heat-sensing receptor (TRPV4) and a pain-response receptor (TRPA1). Given this, it’s perfectly possible that THCA can produce a range of therapeutic effects by affecting the above receptors. Scientists speculate that inhibiting the TRPM8 receptor can reduce seizures or prevent nausea, while THCA’s interaction with TRPV4 and TRPA1 receptors could possibly explain its analgesic properties. Before we proceed to our mini-guide on using THCA, let’s shed some light on its hallmark features. Research into the effects and benefits of THCA is in the early stage. However, preliminary studies and anecdotal feedback from cannabis users suggest that this cannabinoid can have a great effect on our well-being. Many people have reported reduced muscle spasms, insomnia, pain, and inflammation after consuming raw cannabis. And while we still need more studies to prove the anecdotal evidence, the emerging data has started to lean toward potential benefits of THCA in a few key areas. Let’s elaborate on each of these benefits. According to a 2008 study published in the Journal of Pharmacology and Experimental Therapeutics, THCA is capable of binding to the TRPA1 receptor. As said earlier, this receptor modulates our response to pain, temperature, and itching. The research team concluded that the THCA found in raw cannabis plants could reduce pain and alleviate muscle cramps and spasms (1). Cannabis has been used for centuries as an antiemetic. Today, many people turn to cannabis to prevent vomiting or counterbalance the feelings of nausea, choosing vaporization as their go-to approach to alleviate symptoms. Early research suggests that THCA found in raw cannabis can bring relief to those suffering from loss of appetite, nausea, or vomiting just like THC also provides (2). As shown in a 2011 study published in Biological and Pharmaceutical Bulletin, THCA could significantly reduce the production of prostaglandins, important mediators in the inflammatory process. The inhibition of enzymes catalyzing the production of prostaglandins is one of the major mechanisms of anti-inflammatory activity (3). Antioxidants are responsible for protecting healthy cells in the body against the damage caused by harmful toxins such as free radicals. Unsurprisingly, like many cannabinoids in cannabis, raw THCA is a potent antioxidant. A 2012 preclinical study found that THCA was able to repair the damage caused by neurotoxins. Although one study certainly isn’t enough to throw bold medical claims, THCA could potentially be used to treat diseases caused by oxidative stress, such as Parkinson’s, Alzheimer’s, and cancer (4). THCA triggers necrosis in plant cells. Necrosis means removing dead or dying cells within the plant. Our own immune system comes with a similar feature — something which scientists describe as “programmed cell death”, where old, damaged cells are eliminated. Cancer appears when this programmed cell death system breaks down and the damaged cells begin to spread instead of dying. These toxins often accumulate in one spot within the body, causing the growth of tumors. A study of cancer cell cultures and cancer-affected animal models from 2013 concluded that THCA could protect the examined subjects against the spread of prostate cancer cells. 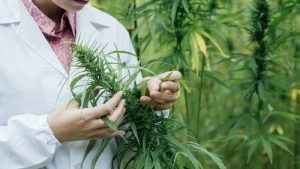 Cannabis has been mentioned several times in scientific literature thanks to its ability to stop the proliferation of various forms of cancer, and the above study seems to support previous research (5). While THC remains largely outlawed across the globe, the legal status of THCA isn’t that clear. From the legal standpoint, THCA remains unclassified. As we speak, it is not scheduled by the United Nations Convention on Psychotropic Substances, nor is it specifically regulated at the federal level in the United States. With that said, THCA may fall under classification as an analog of THC — as per the Federal Analog Act in the United States. It depends on the prosecutor whether they will argue prosecution under this act or not. Simply put, THCA isn’t clearly regulated in the United States, but it’s produced by the marijuana plant and can be argued to be a direct analogue to THC — which is considered a schedule I drug. The good news is that if you live in one of the legal states or in a country with a regulated cannabis market (e.g. Canada, Uruguay), you’re free to benefit from the therapeutic properties of THCA without the fear of being taken as a criminal. According to Dr. William Courtney, using raw cannabis allows you to ingest over 1,000 times more cannabinoid acids than if you were to consume the psychoactive THC. One of the most effective ways to benefit from THCA is to juice or blend the raw leaves or buds of cannabis. 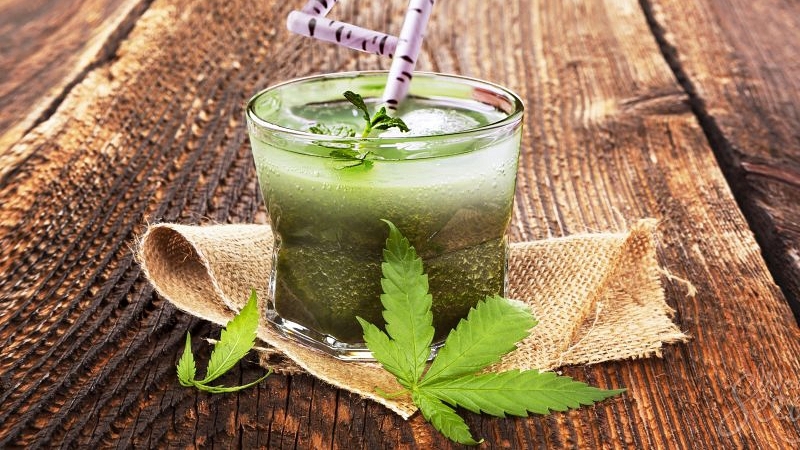 How about a cannabis smoothie? A whole bouquet of flavors and nutrients delivered by raw cannabis and other ingredients from the superfoods group — this couldn’t sound more amazing. Raw cannabis trim, leaves, and/or flowers (stalks removed) — Up to ½ oz. Gather all the ingredients and place them in your blender. Switch it on and blend until smooth. Should you still find some chunks of avocado or cucumber, or traces of blueberries, continue blending until you reach the desired consistency. Pour the liquid out — you can also strain it through a sieve if you want the smoothie to be completely smooth. Enjoy your raw cannabis smoothie packed with THCA! To complement cannabis, the other ingredients in the recipe come with anti-inflammatory, energy-boosting properties, and they taste great as a whole, too. Avocado is a perfect creamy base for the marijuana taste to blend in, and the sweet-and-sour flavor of apple and blueberry adds a nice, crisp touch to the smoothie. The antioxidant properties of blueberry, as well as the omega-3 fatty acids contained in the hemp seed powder, will protect you against the damage caused by free radicals and boost your immune function. Scientists working at the University of Guelph in Ontario conducted a study in 2013 that yielded some interesting results. The research team concluded that by administering low doses of THCA — around 10 – 100 times lower than an effective dose of THC — they were able to stop the feeling of nausea in rats. Now we need to have some human trials in that area that would prove the findings from the 2013’s animal study. Should they succeed, it could be groundbreaking for patients suffering from digestive disorders. On top of that, the scientists also discovered that THCA can synergize with CBDA, a potent anti-inflammatory, analgesic, and antiemetic compound. The synergy between these two cannabinoids resembles the one produced by THC and CBD, officially known as the entourage effect. 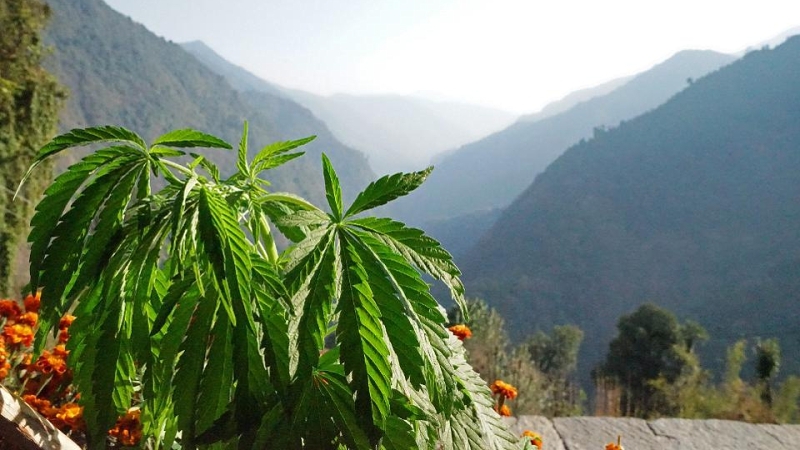 We may soon witness the emergence of the entirely new, full-spectrum raw cannabis extracts. While it’s still early days, new research on THCA suggests it has some remarkably potent therapeutic benefits. THCA is the precursor to THC. In other words, THC is created from THCA. However, it’s possible only under certain circumstances. Raw cannabis must be dried or exposed to heat to decarboxylate — remove the extra carbon link that makes THCA an acid — and turn the inactive compound into the psychoactive THC. The THCA from raw cannabis could potentially be used as an antiemetic anti-inflammatory, analgesic, anti-tumor, or antioxidant, although further research is needed to prove the impressive amount of anecdotal evidence from healed cannabis users. The fastest way to deliver THCA to your body is to juice it or blend it along with other healthy ingredients to create a flavorful and nutritious smoothie. 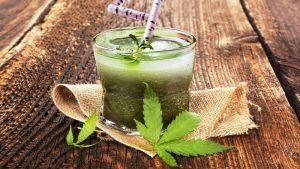 However, with such a rapid increase in popularity, we may soon expect new cannabis products on the commercial market with high concentrations of THCA and in more bioavailable forms than DIY beverages. Have you already tried THCA? What’s your go-to consumption method of this cannabinoid? Petrocellis, L.D. et al. (2008). Plant-Derived Cannabinoids Modulate the Activity of Transient Receptor Potential Channels of Ankyrin Type-1 and Melastatin Type-8. Journal of Pharmacology and Experimental Therapeutics, 325(3), 1007-1015. Baker, P. B., Taylor, B. J., Gough, T. A. (1981). The Tetrahydrocannabinol and Tetrahydrocannabinolic Acid Content of Cannabis Products. Journal of Pharmacy and Pharmacology, 33(1). Ruhaak, L. R., Felth, J., Karlsson, P. C., Rafter, J. J., Verpoorte, R. & Bohlin, R. (2011). Evaluation of the Cyclooxygenase-Inhibiting Effects of Six Major Cannabinoids Isolated from Cannabis Sativa. Biological and Pharmaceutical Bulletin, 34(5), 774-778. Moldzio, R., Pacher, T., Krewenka, C., Kranner, B., Novak, J., Duvigneau, J. C., Rausch, W. D. (2012) Effects of Cannabinoids Delta9-Tetrahydrocannabinol, Delta9-Tetrahydrocannabinolic Acid, and Cannabidiol in MPP+ Affected Murine Mesencephalic Cultures. Phytomedicine: International Journal of Phytotherapy and Phytopharmacology, 19(8-9), 819-824.